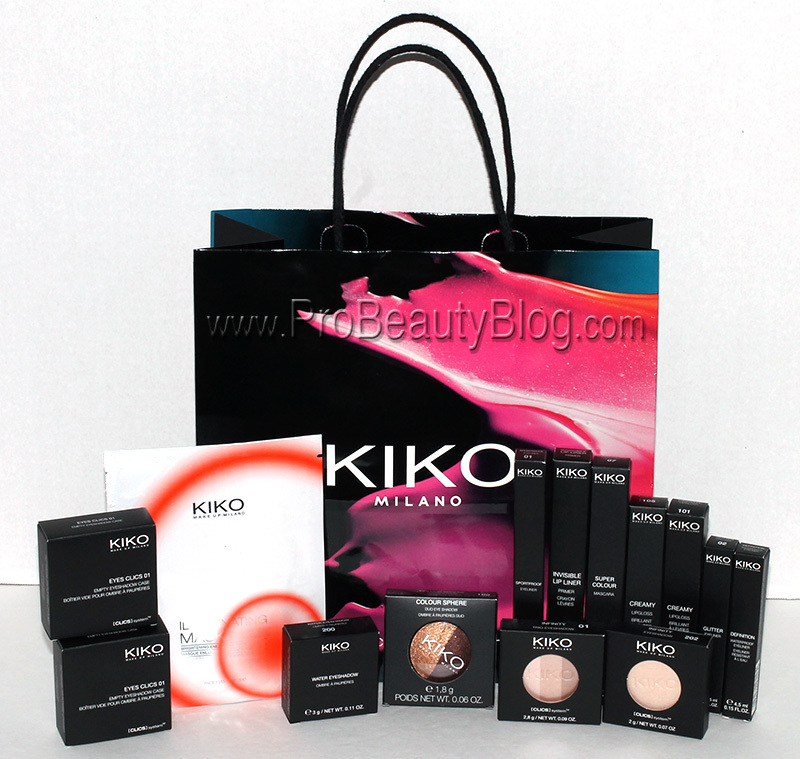 Italian makeup brand, Kiko Cosmetics, has made its way to the United States! One of their five locations opened in New York City, so of course I had to make my way to the Queens Center Mall to check them out. 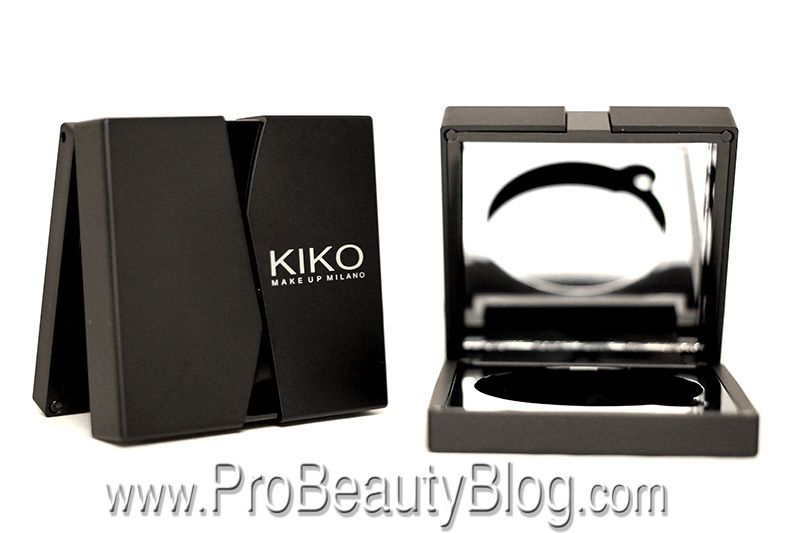 The KIKO MILANO universe is an example of innovation in form – due to its display with the largest makeup color palette made of vibrant and pure pigments – and in substance, thanks to the exclusive formulas and the revolutionary texture of its skincare products. Behind each product is the excellent research of an expert scientific team that develops new technologies and original formulas. So, now that you know a little bit about the philosophy of the brand, lets take a look at the store. 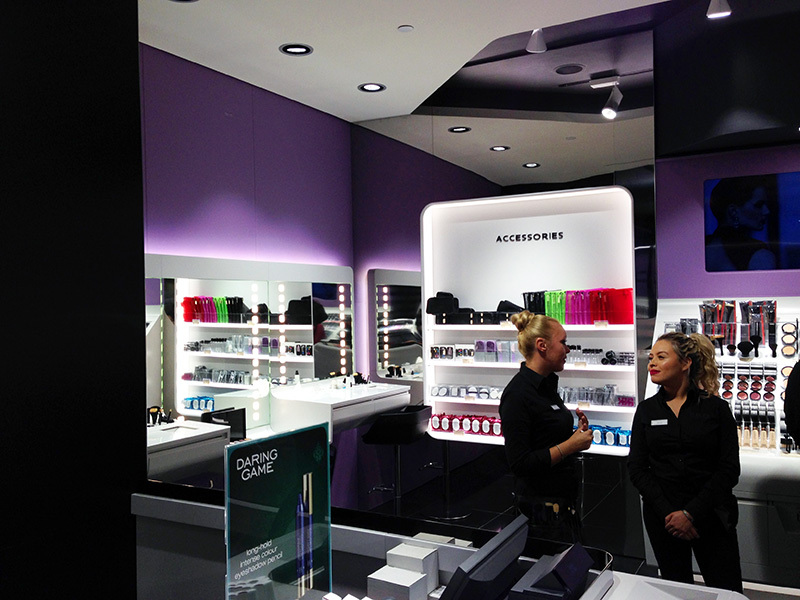 I absolutely LOVE the decidedly “futuristic” ambiance of the store. It felt like I was shopping in a space capsule. 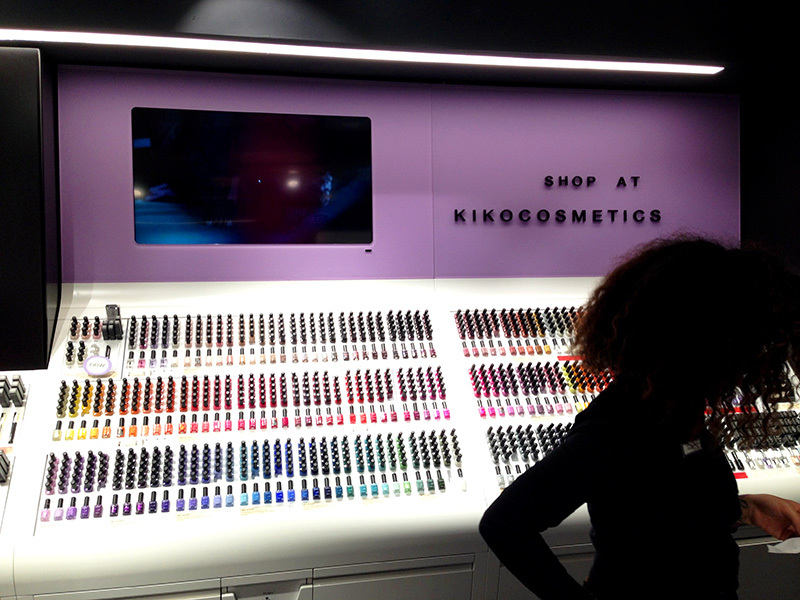 The store was spotlessly clean, the product was clean (save for some sketchy mascara tubes that still had the wand attached to them! 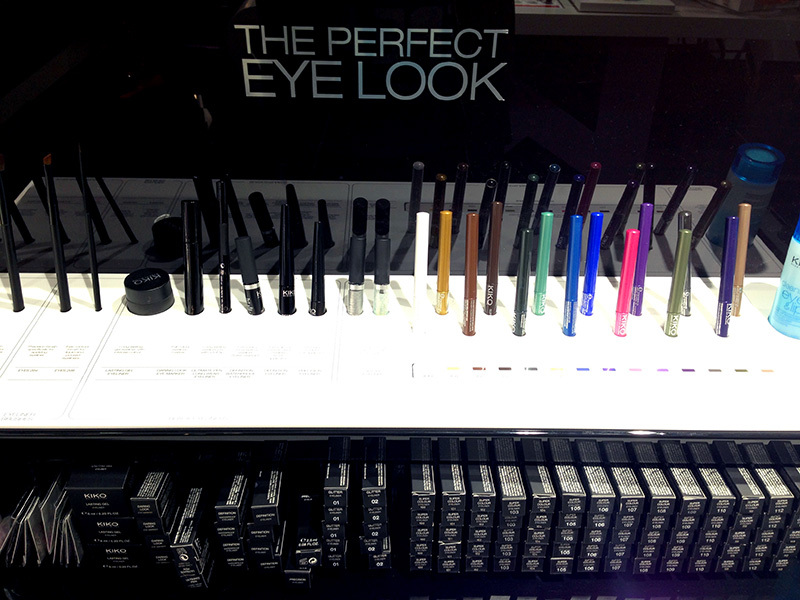 I saw one or two people “test” the mascara directly from the display! Yikes! ), and the staff was extremely helpful and readily available. This is an empty case to put your loose eyeshadows in. 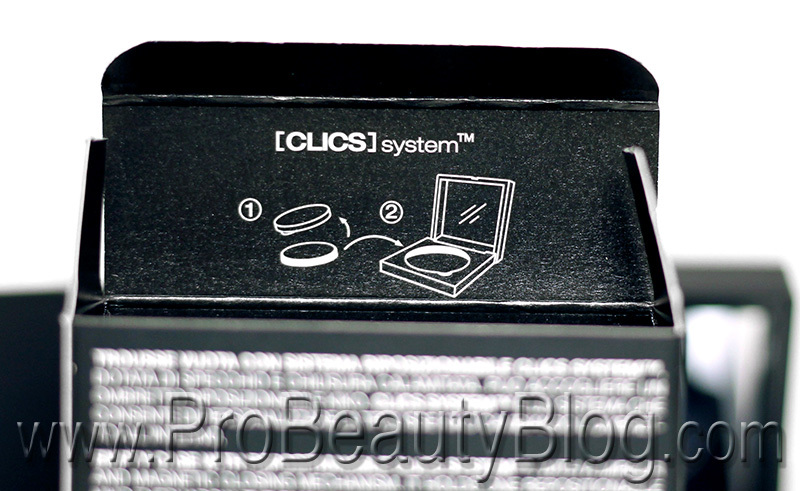 This is part of the Eye Clics Palette System, which range in size from 1-shadow, all the way up to 24-shadows. 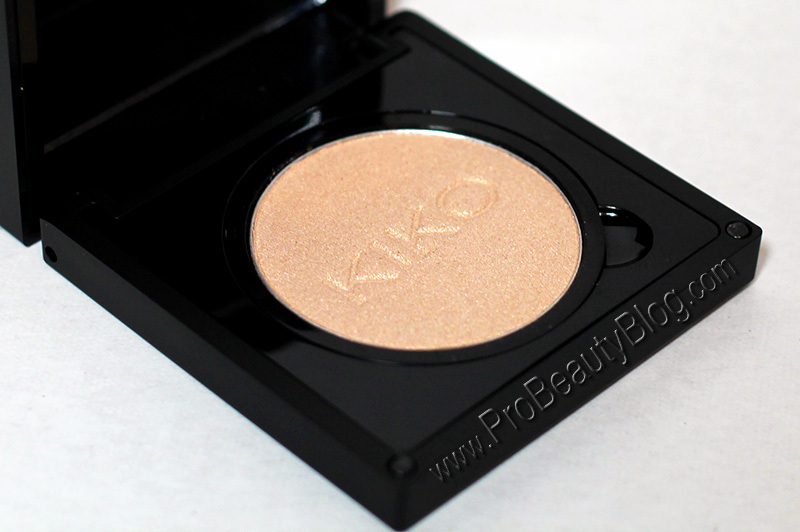 A beautiful light golden shimmer color, great for tear-duct highlighting. 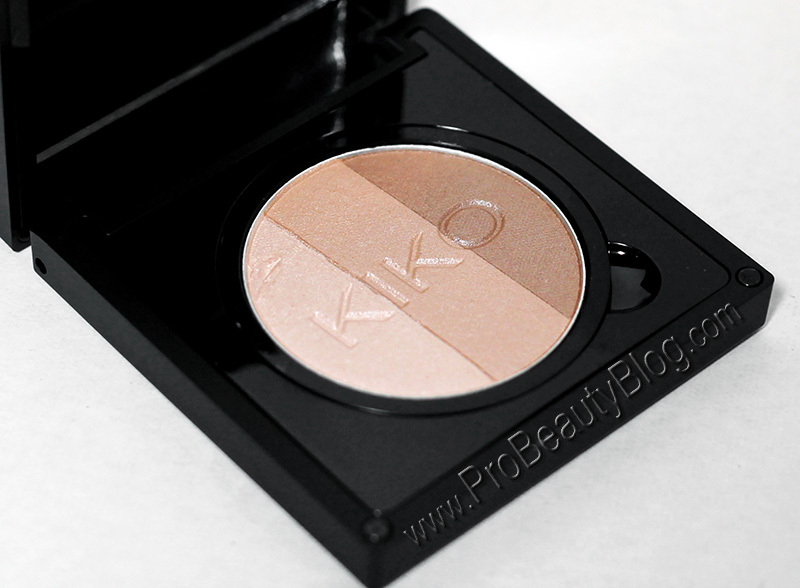 This shadow is sold alone (without the Eye Clic case). 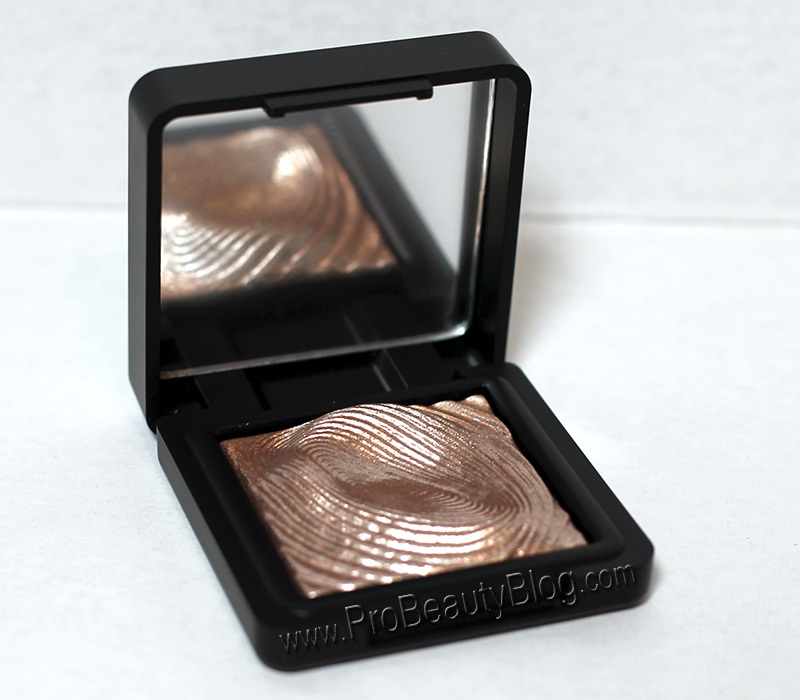 This is a hyper-shine, metallic eyeshadow that you can use wet or dry. When used with a fluffy brush (like a blush brush) it can be applied as a highlight (an exact dupe for the MAC Whisper of Gilt, actually). I have found that the best way to apply it on the eyes is using my finger. You get opaque coverage that way! This is easily going to be one of my favorite products of the brand. 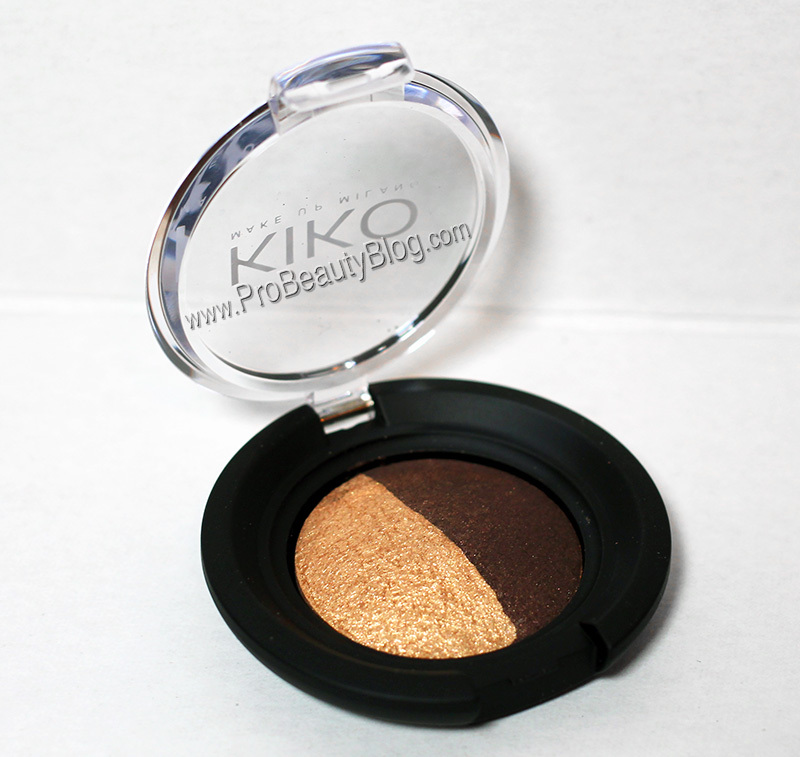 This beautiful gold-and-brown baked shadow duo is perfect for a simple look. Sweep the brown on the lid and lower lashline, and place the gold on the tear duct. Simple as pie! 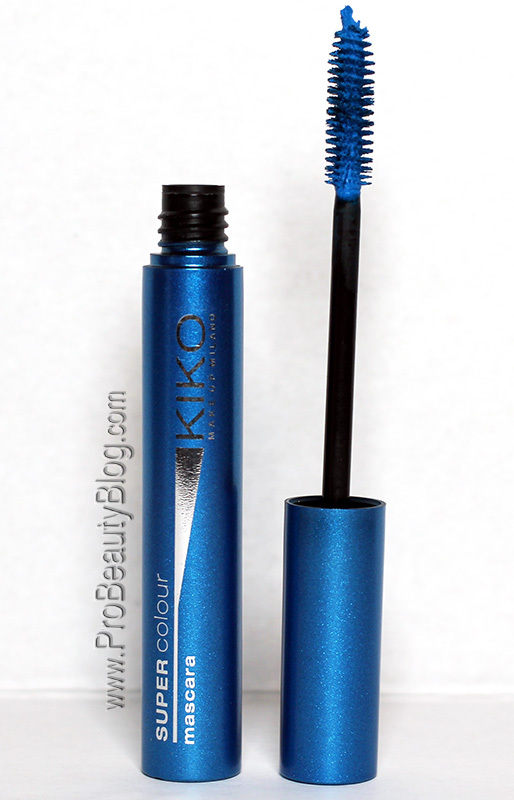 This is a shockingly bright and opaque colored mascara. The formula is thick and coats the lashes evenly. It does tend to clump, so you need to apply it QUICKLY and make sure to comb the lashes afterward. **HOLY GRAIL ALERT** The Definition Waterproof Eyeliner is the BLACKEST and the most UNBUDGABLE (is that even a word?) liquid liner I’ve ever used. Once it dries, good luck getting it off! It will take an oil-based remover to get it off. Swimming, sweating, and sleeping are no match for it! NO OTHER LIQUID LINER CAN BEAT THIS ONE. NONE. The glitter version that I purchased is also very beautiful. I think it works better if you put it OVER another liner. The glitter is dense, but the clear liquid that it is in tends to crack once dry… and I don’t like that. If you put it over another liner, it looks marvelous! 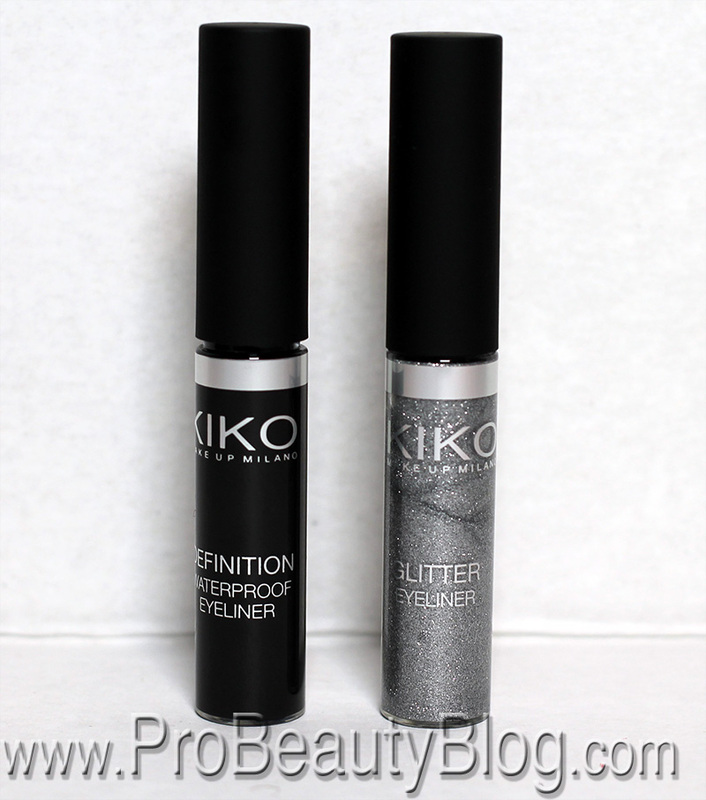 A super-black and delicately-glittery water-resistant pencil liner. 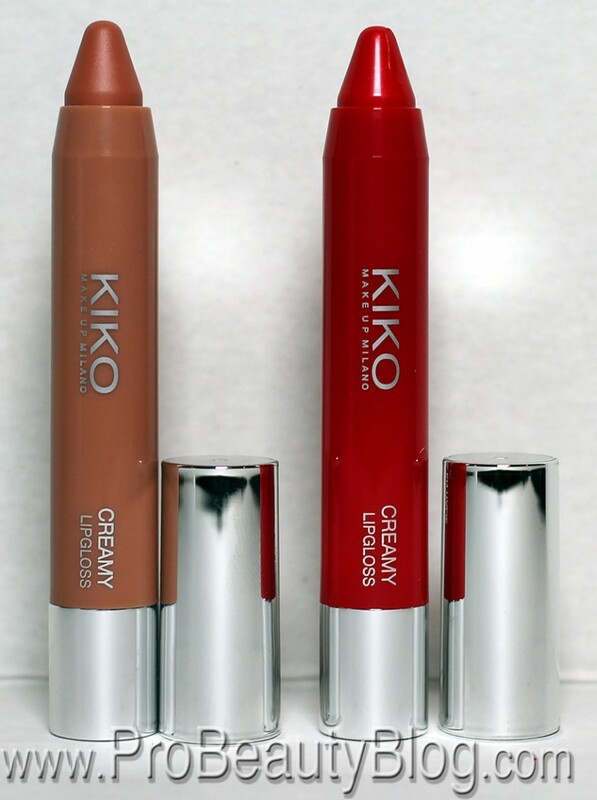 The pencil is super creamy and is fairly smudge-resistant when dry. It holds up to its “sportproof” claim! This is a liner that you put ONLY on the outside of your lips. It helps to keep your lipstick from bleeding. This formula is not as “stiff” as I would prefer, but we shall see how it holds up on a long shoot day. I’ll have to report back on this one later. I actually have not tried this product yet, so I do not have an opinion of it. The name is pretty self-explanatory though. That’s what I got on this first trip, and so far I have LOVED every. single. piece.! How rare is that? For the products to be so economical [read: cheap] they really are great quality. I will have no problem dropping money on more items in the future. 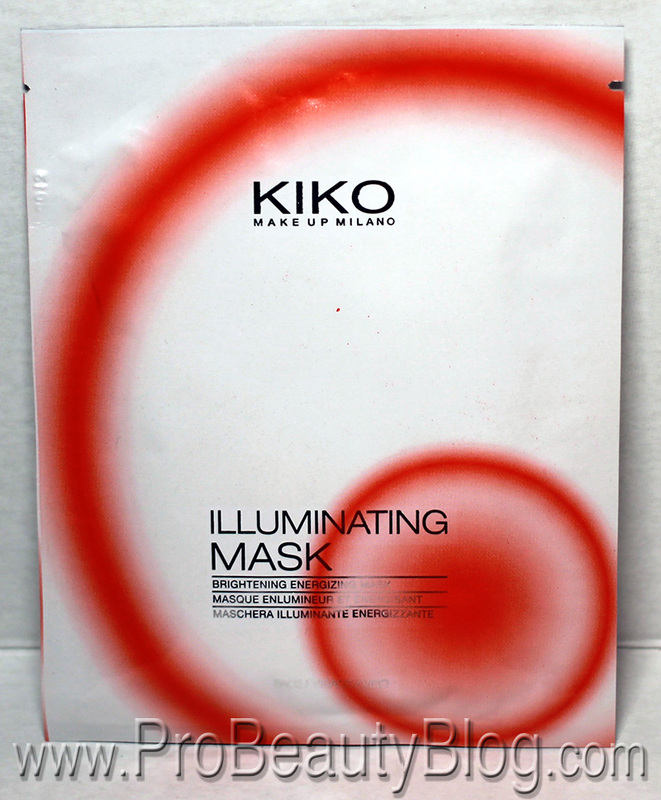 Unfortunately, Kiko does not retail online in the United States. If you don’t live near one of their 5 retail outlets, you are out of luck unless you have a friend near one. 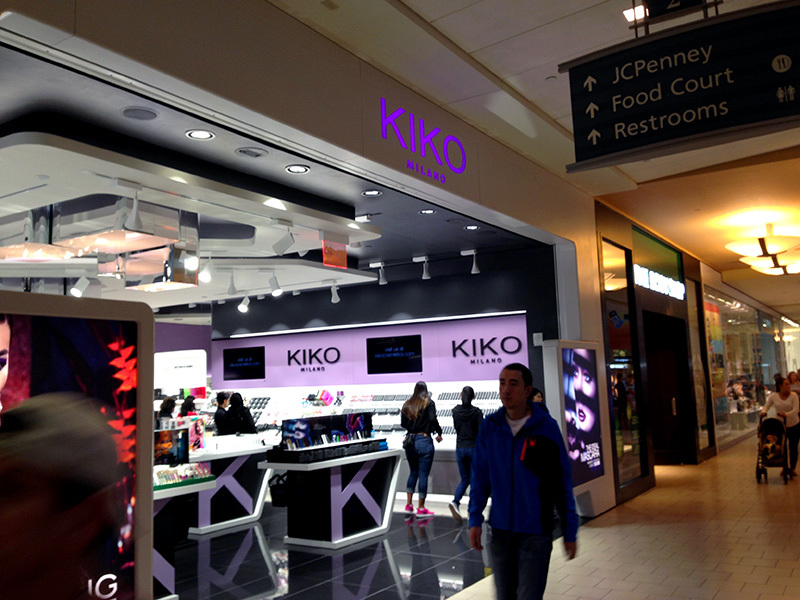 Hopefully Kiko will expand with more retail locations and a virtual presence.